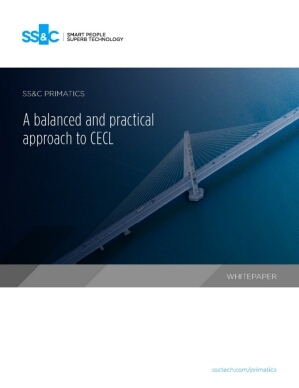 Getting CECL right involves using an integrated solution. A platform specifically designed for integrating risk and finance. EVOLV holistically solves the entire reserving problem, end-to-end. Let us show you what it takes to implement CECL successfully, with solutions ready to lead you to success today and beyond. 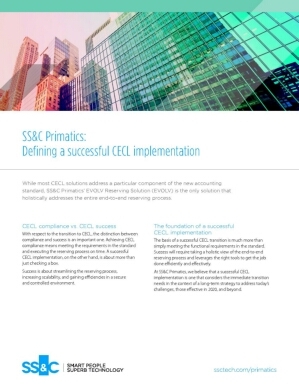 Find out more about the foundation of a successful CECL implementation. Learn more about how EVOLV Enhanced Analytical solves the CECL challenge for mid to small sized institutions. 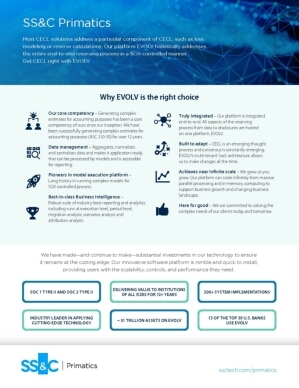 Find out why EVOLV is the right choice for addressing CECL. Is your bank part of the 73% of financial institutions that have not started implementing requirements for CECL?